Latest on the chibi dungeon RPG sequel. The latest issue of Weekly Famitsu has new information on Persona Q2: New Cinema Labyrinth, which was recently detailed and dated for Japan. Hikari is voiced by Misato Fukuen. Nagi is voiced by Kikuko Inoue. There are a total of 28 Persona users. The party can have a maximum of five characters. You can remove the protagonist, unlike the first game, and freely customize your party. A second Persona can be set for party members, which can be summoned during battle. Since the story is focused on the characters of Persona 5, the battle background music is mainly from Persona 5 at first, but the variation of songs changes as you recruit members from Persona 3 and Persona 4. Makoto Kitajo, who composed Persona Q: Shadow of the Labyrinth, is also composing Persona Q2: New Cinema Labyrinth. Unlike the first game, there is no mechanic where you choose to start the story from the perspective of the Persona 3 or Persona 4 cast. By focusing on Persona 5, they were able to improve the deepening of character bonds and completeness of the story. Character encounters are more connected to the story than the first game. Both the female and male protagonists of Persona 3 exist at the same time in the game—there is no choosing one over the other. The female protagonist will be heavily involved in the story. 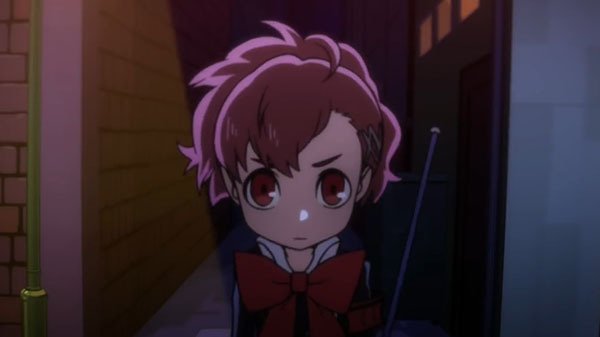 Persona Q2: New Cinema Labyrinth is a completely standalone story, so you do not need to have played Persona Q: Shadow of the Labyrinth or Persona 5, or have watched Persona 5 the Animation, in order to enjoy it. The game went into full-scale development after the completion of Persona 5. Development is currently 80 percent complete. Thanks, Ryokutya2089 and Hachima Kikou.